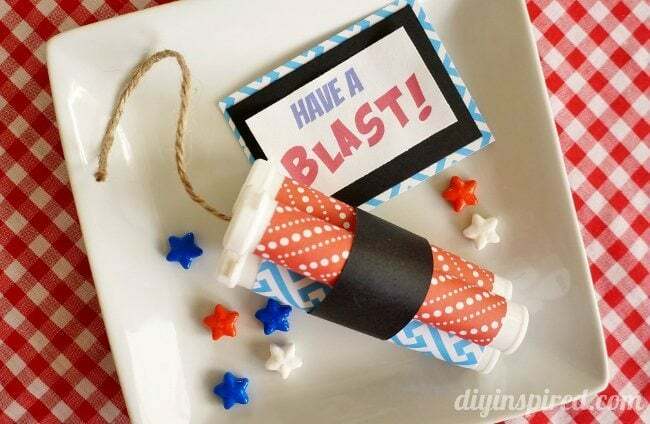 Thank you to SweetWorks, Inc., for sponsoring the candy for this post, Repurposed Dynamite Stick Patriotic Party Favors. If you know me, you know that I work out often. When I do, I bring bottled water with a vitamin B12 energy powder mixed in. 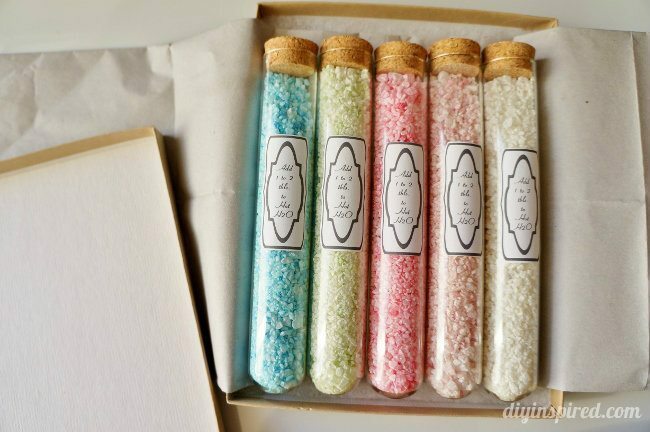 The powder comes in these cute little cases that I have been saving because I’m a Craft Hoarder (that’s right…I admit it!). 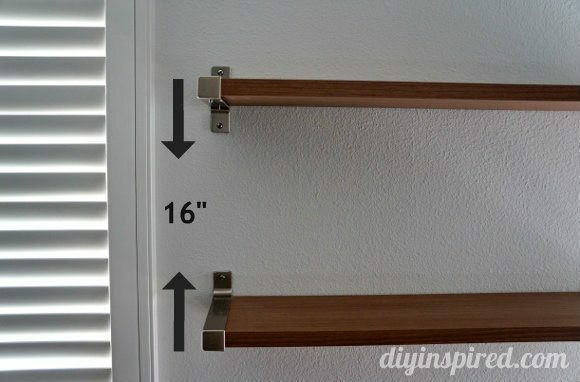 They come in several colors and I have a ton of them because I buy them at Costco! Aren’t they cool? 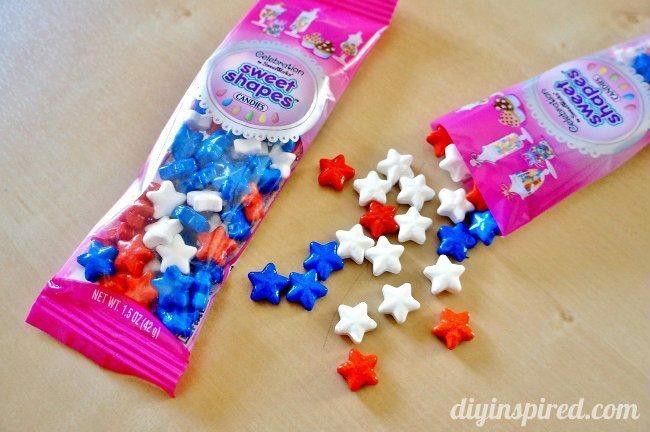 When I got these cute little red, white, and blue Sweet Shapes stars from SweetWorks, Inc., I thought I’d make some candy filled patriotic party favors that look like little dynamite sticks with my containers. 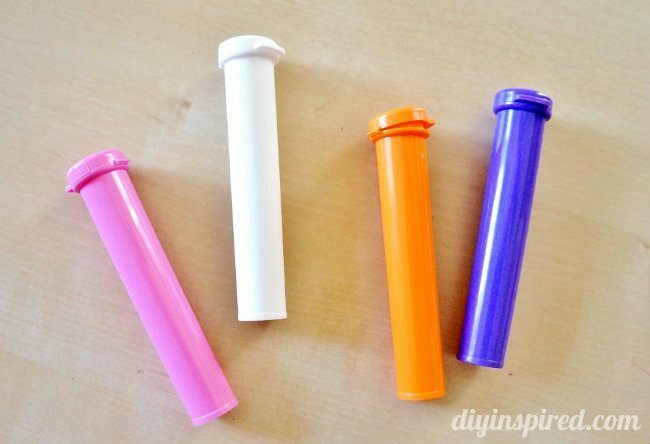 If you don’t have these containers, you can make larger favors with toilet paper rolls. 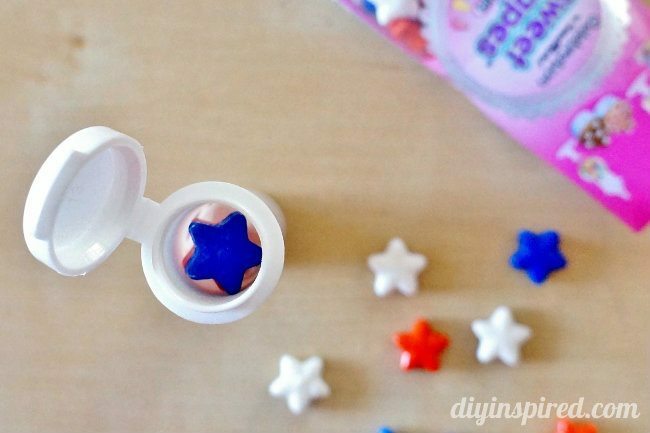 I made sure each container was clean and dry and filled them with the red, white, and blue, star pressed candies. 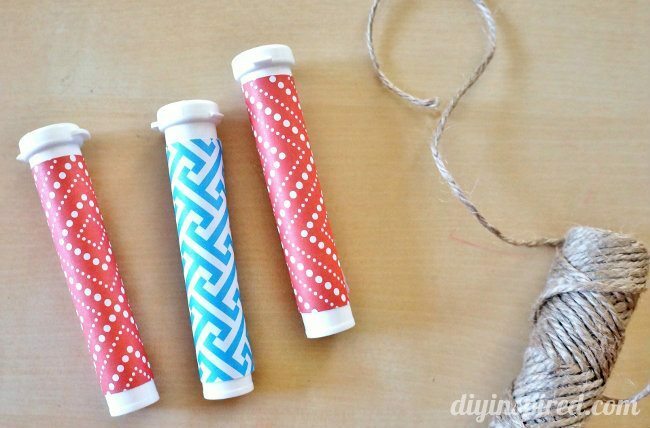 Next, I wrapped each container in patterned decorative paper and secured it with double-sided tape. 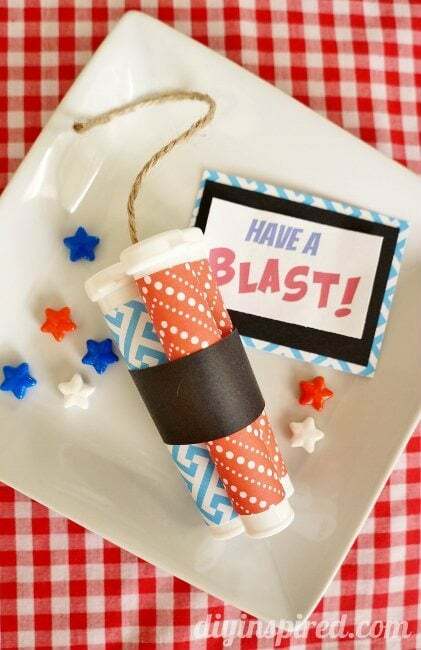 These little favors are great for the Fourth, Memorial Day, end of the school year, or any birthday party. 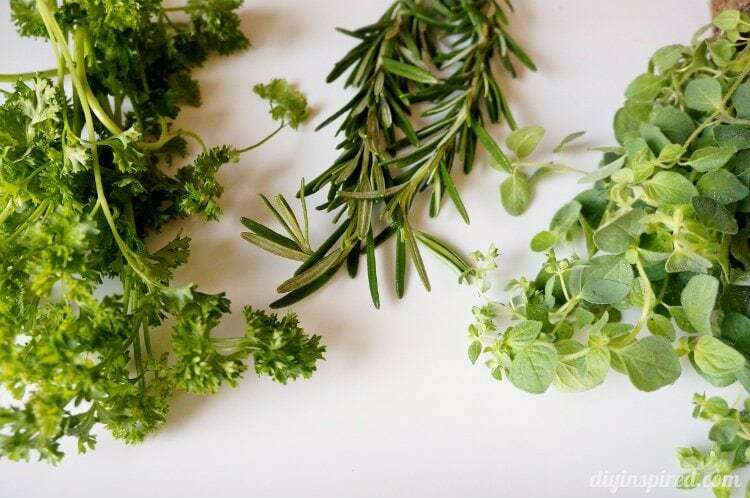 In case you missed them, check out some of my other patriotic craft and party ideas! o my gosh how stinkin cute is that!! !